Kerala TET 2019 – The Kerala Teacher Eligibility Test Exam is going to be conducted to select the good quality candidates for the Teaching posts by the Government of Kerala Central Education. Huge numbers of candidates are ready for the KTET 2019 Online Applications. Applicants are informed they must submit the online application form on or before the last date. 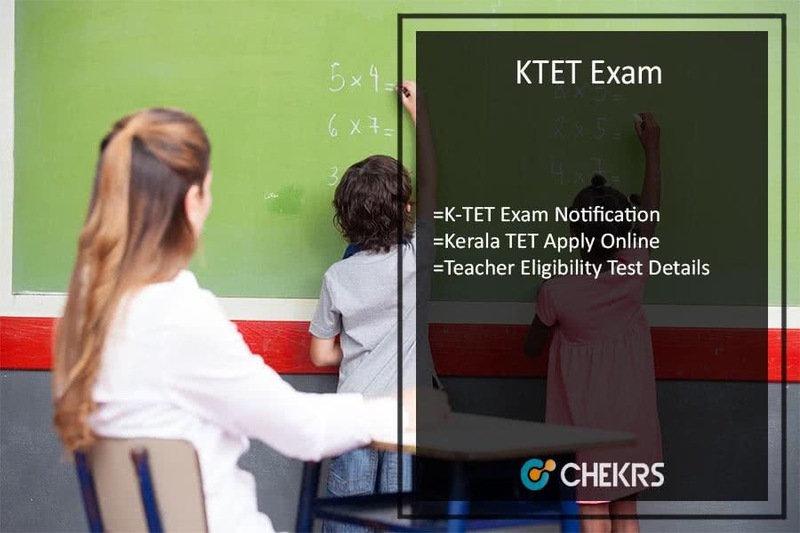 Kerala TET 2019 Exam Notification is given the below which consist all details for the Teacher Jobs such as Eligibility, Selection process, Age limit etc. Interested candidates check all the details after applying for these applications. The Kerala State Eligibility Test Selection Process is Written Test, Interview, Document Verification. All the candidates check the Eligibility of KTET 2019 to visit the advertisement pdf. Kerala Government is conducting Teacher Eligibility Test (TET) for recruiting teachers under 4 category for Primary and Secondary schools. Aspirants can apply through online mode. Kerala TET notification invites online application from the eligible candidates. If you want to get more details like eligibility, selection process, application dates, application process etc all are updated with below article. Click on the Kerala Teacher Eligibility Test 2019 link. Click on then Step-I Registration Link. Pay the Application Fee and click on the Proceed button. After click on the Step II Registration and enter the SB Collect Reference No., Date of Birth and Mobile number Details and click on Submit Button. Fill the all required fields of Application Form. Candidates can save or take a print out of application form for future uses. See Also: Applicants can check the KTET Exam Syllabus for the best exam study. All the interested candidates can get details of Kerala TET 2019 through our portal www.jobs.chekrs.com. In the case of any query or review, your valuable comments are most welcome in the commenting section below and our team will get in touch with you shortly.